Walter R.G. 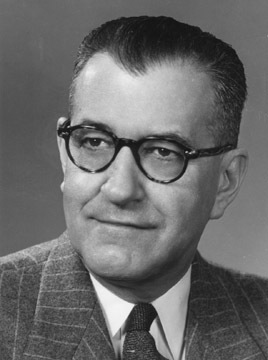 Baker (1892-1960), “father” of electronics at GE, was a General Electric Vice President, and served as Chairman of the National Television System Committee (NTSC). Mr. Baker played a pivotal role in television broadcasting, establishing the federal standards for operation of both black and white television in the early 1940’s and color television in the early 1950’s. The call letters of WRGB, the first television station established in upstate New York, pays tribute to this pioneer who was one of the initial people involved in setting up this ground breaking station.